There is no use of doing something when you are not following the proper rules and regulations that are attached to that specific task. The very same thing is followed in religion, where there are different sets of rules and ways that we have to follow. Did you what is the basic mistake that we do while reciting the holy Quran? Well by not reciting it with proper tajweed. That is the best way to recite the holy book of Allah, by the proper Arabic accent and way. But obviously, the people who are not Arabs don’t have thar proper accent. Well that is what we are here for, to teach you that perfect tajweed. People are always finding ways to learn the finest Quranic accent but in our busy schedules, we barely get time for ourselves. So taking out time for classes can be a really hectic and time consuming task, but what if we tell you that we are offering online tajweed classes. We provide online Quran classes UK, we teach people everything that they need to know about Quran including learning and reciting Quran properly. Our tajweed classes will help you to recite quran with a proper Qari like accent, this way you will get more and more interested in reciting Quran each and everyday. Our course is a step by step process so that you can learn slowly and steady but absolutely perfectly. The level 1 is when you will learn how to read and recite the holy Quran by little baby steps for example just starting with some words. The second level is when you will implement the most important tajweed rules, you will learn how to stay away from sinful pronunciation mistakes in letters, such as making a longer sound where you need to make a vowel sound. Moving on the third level, here you will learn about stopping on the end and middle of the verse, you will also revise whatever you have learned in the earlier levels by implementing it through reciting the holy Quran. On the third level you will also learn how to recite the Quran slowly ( taweed) with proper Arab accent (tajweed). By learning these tajweed classes online, you will not only learn how to recite the Quran in a proper and respectful way. But you will also get to know more about the recitation. You will only need a device that will connect you to the internet and a pair of headphones. By our online Quran classes you will be able to learn the Holy quran without any schedule problems. There are many benefits of online classes, you don’t have to be involved in any kind of mobility, the timings are adjustable according to your schedule, there is no problem of pardah as we have female tutors for women and if your children are enrolled in our classes then you can keep an eye on them very easily. This ensures that your child is in a safe and caring environment. 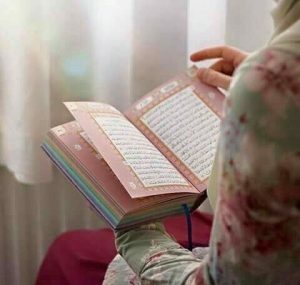 Lately, we all have gotten pretty busy in our sophisticated and twisted lives and we need someone that will help us to break free, well Quran is the only healing remedy that will help you to come out from every problematic situation. We as muslims, already have the full guidance from our saviour. All we need to do is interpret it and implement Its teachings in our daily lives, this is the only way by which we will be able to attain a healthy and happy environment. So don’t think too much about “where can you find online classes near me” because we are right here. Sign up now and find your way to the guide for living the perfectly happy and healthy life. 4.0.0.1 What Will I Learn? The first level of Tajweed courses online is for those students who want to know how to recite/read the holy Quran, they will learn to pronounce letters correctly, and also will learn other basic attributes of letters e,i. Nasal sounds, idgham, qalb, maddahs, and types of madds, etc. Second level of online Tajweed courses is consists of improvement of your recitation skills by applying the Tajweed rules you’ve already learned in the first level of online Tajweed courses, characteristics of the letters that differentiate them, avoiding the (sinful) mistakes, like making longer sound where you’ve to make a short vowel sound, etc. This is the final level of online Tajweed courses, at this level you’ll learn the rules of Waqf (rules about stopping at the end of the verse of in the middle), you’ll also revise what you’ve learned in first and second level and implement it while reciting the Quran, some exception of rules you’ve learned, and reading the holy Quran with Tarteel (in very slow motion), etc. In this course we will cover all aspects of tajweed, you can join this course if you’re a beginner or you know some tajweed basics and want to get the knowledge of tajweed deeply. this course is specially designed for sisters and instructed by female tajweed tutors online. Makharij of Huruf or Articulation Points of Letters. The knowledge Rules of Tajweed. Practising with the teacher, she will and the student will repeat after. Computer or any smart device with Skype installed in it. Headphones if you have one (recommended). You can join these classes anytime, just fill up the registration form, reply the confirmation email and you are ready to go. Many sisters find it hard to go an Islamic school because of their daily activities, online tajweed classes for sisters are convenient and time flexible, not only that our real-time live classes are way less expensive than where you go and attend by traveling. Our online tajweed classes for sisters are beneficial for sisters of all ages. we have female teachers available that are highly educated and have ijazah in tajweed, hifz and Tafseer alhamdulillah. Here is a demo of how our female Quran tutors teach our students one on one online via Skype.